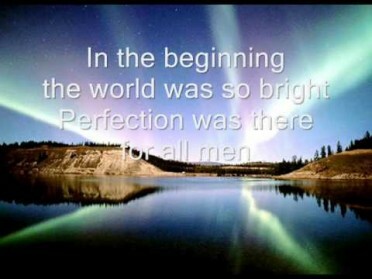 It’s practically the stuff fairy tales are made of. Most people know that being a royal is different from being a commoner. When a commoner marries a royal, the commoner becomes a royal by marriage. Even though that person is not a royal by birth, he or she will have to follow the royal rules. Over the years, the royal protocol has not been challenged even though some of the laws are strange and antiquated. Those particular rules range from what to eat in public, what to wear, and even what board games the royals can play. Kate Middleton married Prince William in 2011. Now she is the Duchess of Cambridge. Meghan Markle married Prince Harry on May 19, 2018. She becomes a duchess as well. Like Duchess Kate, Markle’s life will change a great deal. They will change even more for Meghan because she an American, biracial, a divorcee, and she is older than Harry. A royal meets and falls for a regular member of public. Love conquers all and everyone, bar the baddies, lives happily ever after. In reality, it’s taken a while – circa 2000 years – for the UK to get to this stage. To put things in perspective, the Duchess of Cambridge is the first “commoner” to marry a future king since Elizabeth Woodville, the woman who married Edward IV in 1464 in secret. Since 1464, other monarchies have embraced non-royals and non-aristos into their regal folds. Turns out Cinderella doesn’t need a ball to meet her prince; she could find him in a bar. 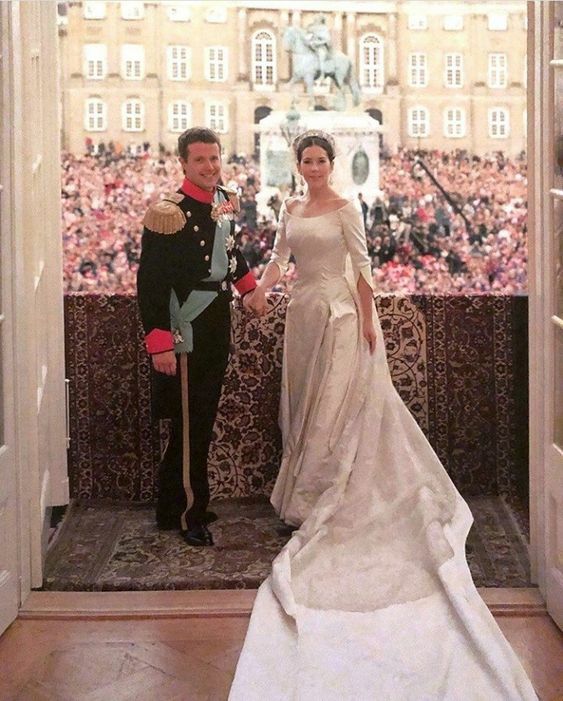 At least that’s how Mary Elizabeth Donaldson, who’s now the crown princess of Denmark, found her prince. And then there’s Kate Middleton. Her 2011 wedding to Prince William captivated millions of people around the globe. The two of them met in college. Actress Meghan Markle joined the royal ranks after marrying Prince Harry in a stunning ceremony at St. George’s Chapel at Windsor Castle in May. The young King Edward IV had recently ascended the throne, bringing peace in time a war, and promised a reign of glory and prosperity to the English people. 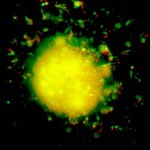 He was nicknamed the “Sun of York” and the future looked hopeful. His new queen who was five years older than him was an English woman, exceptionally attractive and certainly appeared the part of queen. She was however, a commoner, a widow with two sons, and her previous husband was a traitor. Her name was Elizabeth Woodville Grey. Her legendary blonde beauty entranced the young king to the extent that he married her in spite of tradition, in spite of advice, perhaps even in spite of himself. While none could fault her personal charms, Elizabeth was considered an unacceptable choice for an English queen by most of Edward’s advisors. She was a widow, a mother already, born and married into Lancastrian families, the daughter of a mere knight, a man whom Edward had formerly held in contempt. She brought no dowry or international connections, no territories or promise of diplomatic support. What she did bring was her fertility, bearing the king 10 children in addition to the two sons from her first husband, Sir John Grey. Elizabeth also brought in a model of queenship that differed vastly from that of the woman she replaced, the Lancastrian Margaret of Anjou. Elizabeth may have begun her reign as unsuitable and unpopular but in fact, she was the perfect embodiment of the beautiful, submissive, fertile queen – an archetype of medieval literature. During the Wars of the Roses, Elizabeth Woodville allegedly attracted Edward IV for the first time by waiting for him under an oak tree in Whittlebury Forest. She was desperate; left a widow during the war, she intended to beg Edward IV for her marital lands and the lost inheritance for her two sons. As legend relates, Edward fell in love with her and was determined to make her his queen, despite the controversy and outrage this would cause. Elizabeth was not only far from royalty, her father being only a knight, she was a woman whose husband had died fighting for the Lancastrian cause, and whose family were also previously loyal to Henry VI. Needless to say, she was not the obvious choice for a bride for the young king of England, bringing with her to the new royal family: two sons, whose father was a Lancastrian patriot. They married in secret at Groby Chapel, with the attendance of her mother Jacquetta, Countess Rivers, and two ladies. It was possible that the marriage was a hoax meant only to seduce Elizabeth; however, Edward proved true to his word and in 1465 she was crowned queen in England, to the disgust of the Royal Council. American actress Grace Kelly,her acting career in 1950, famous for her roles in Rear Window and High Society, met Prince Rainier III of Monaco while heading the US delegation at the Cannes Film Festival in 1955. The two then began a secret correspondence and in December, Rainier flew out to the States for a tour, during which he met Grace’s family. The two were engaged three days later, news of which ignited the world’s collective imagination. Their big day was dubbed “The Wedding of the Century” – but spare a thought for Grace’s family, who had to fork out a $2 million dowry for the wedding to go ahead. After marrying Rainier, Grace retired from film-making, dedicating herself to her royal duties. 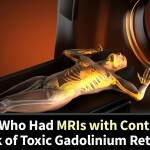 In 1982, she suffered a minor stroke while driving and was critically injured when the car went over the edge of a 45-foot embankment. Grace died the following night at the hospital. This particular union altered the course of history in a dramatic fashion. Baltimore divorcee Wallis first met Edward, Prince of Wales, in 1931. She was still married and he had a mistress, Lady Furness. Three years later (and still unattached), the pair fell in love and reportedly consumated their relationship. His father, King George V, died on 20 January 1936 and Edward ascended the throne as King Edward VIII. Just a few months later he expressed his desire to marry Wallis. The Prime Minister at the time, Stanley Baldwin, presented him with three options: abandon the idea of marriage; marry against his ministers’ wishes; or abdicate. Not wanting to give Wallis up, but also wanting to avoid a constitutional crisis, Edward abdicated in December 1936. The year after the couple married and moved to France, where he lived for the rest of his life. 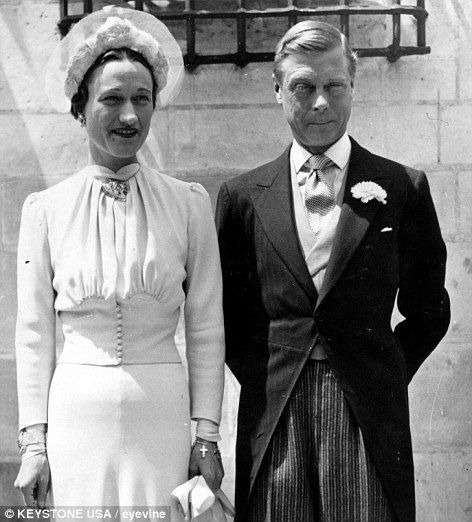 Edward married Simpson in 1937, the year after he abdicated, and in exile, moved to France, where he lived for the rest of his life. From Commoner to Royalty: RANIA AL YASSIN Country: Jordan Considered one of the most powerful women in the world, Queen Rania was on a career track (at Citibank and Apple) before marrying then Prince Abdullah II on June 10, 1993, after a five-month courtship. Since becoming Queen, the mother of four has stepped into the role of global ambassador for education and community empowerment, using social media platforms like Twitter and Facebook to connect with her growing legion of supporters. Rania Al-Yassin was born in Kuwait to Palestinian parents Faisal Sedki al-Yassin and Ilham Yassin from Tulkarm. A doctor’s daughter, she was born in Kuwait on 31 August 1970. Queen Rania is a commoner and a refugee, forced to flee from Kuwait with her family during the first Gulf War. They settled in Amman, Jordan and Rania al Yassin took an education culminating in a business administration degree from The American University in Cairo. Upon her graduation from the American University, she worked briefly in marketing for Citibank, followed by a job with Apple Inc. in Amman. Their royal fairy tale started one night, in January of that year, Rania’s al Yassin life changed in a split second as she met Prince Abdullah II bin al-Hussein of Jordan at a party thrown by his sister. By all accounts magic happened and the two fell deeply and passionately in love instantly and two months later they became engaged. On June 10th, 1993 they were married and now, 21 years later, they have four children, Crown Prince Hussein (1994), Princess Iman (1996) Princess Salma (2000) and Prince Hashem (2005). Her husband ascended on 7 February 1999, and proclaimed her queen on 22 March 1999. For that reason, Queen Rania spends much of her time listening to and talking with the people of Jordan, to learn from them the best way to improve their livelihoods and Jordan’s prospects. Queen Rania spearheads efforts in Jordan to adopt a holistic approach to national education, encouraging agencies and organizations to work on classroom quality, teaching standards, computer access, family involvement, community investment, and health awareness. Lalla Salma and King Mohammed VI Image credit: Hello! King Mohammed VIand Princess Lalla Salma of Moroccohave decided to divorce. Sources close to the palace confirmed the news to our sister magazine HOLA!, saying it is possible that the divorce has already been finalized. The report comes on the day that the couple would’ve celebrated their 16th wedding anniversary. 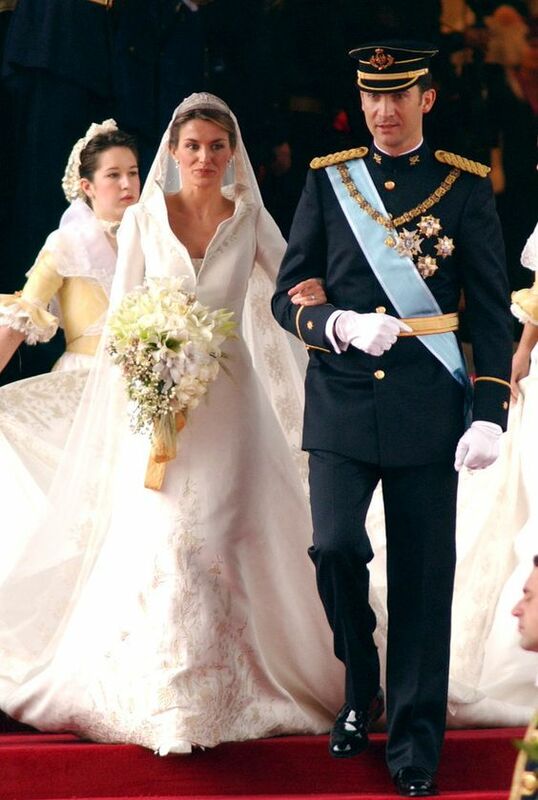 The 54-year-old King and 39-year-old Princess proclaimed their marriage on October 12, 2001 and were wed on March 21, 2002. Mohammed and Salma share two children together: Moulay Hassan, Crown Prince of Morocco, 14, and Princess Lalla Khadija of Morocco, 11. The split news comes just weeks after the King had heart surgery in Paris after suffering from a cardiac arrhythmia. After the procedure, the Royal House of Morocco released a photograph that showed the King laying in his hospital bed alongside his brother, Prince Mulay Rachid; his sisters, the Princesses Lalla Meryem, Lalla Asma and Lalla Hasna; and his children, Crown Prince Moulay Hassan and Princess Lalla Khadija. Princess Lalla Salma was notably absent from the picture. The King is still recovering from the surgery and has had to cancel a state visit from the King and Queen of Spain. The couple has been seemingly estranged since the trip they made in April of 2017 to Cuba and Miami. Since then, Princess Lalla Salma has not carried out an official royal engagement since December of 2017. 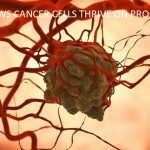 Furthermore, she has not been seen at the activities for her foundation against cancer, the Lalla Salma Foundation. Meanwhile, the King continues with his recovery. Once again, the convalescence of the Alaouite dynasty monarch was forced to postpone the state visit of the King Felipe and Queen Letizia to Morocco due to Mohammed’s medical issues. 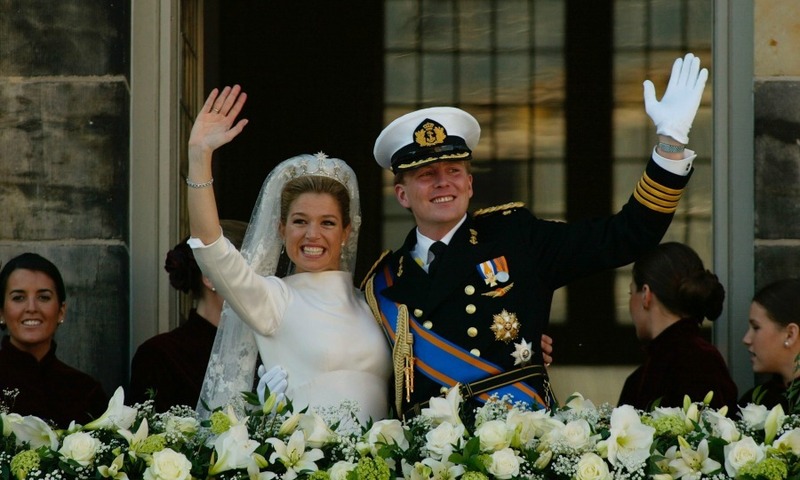 On March 30th 2001 the Royal Court announced the engagement of Crown Prince Willem-Alexander of Orange to Argentinian banker Máxima Zorreguieta Cerruti. They married on February 2nd 2002 at the Nieuwe Kerk in Amsterdam. It was a blind date, which on the surface sounds impetuous except that it was a year and a half in the making. One the son of the former King of Greece and the other the daughter of a self-made duty-free billionaire, they had been persuaded to finally have dinner together in 1992 by a mutual friend, who was right about their compatibility – two years later Prince Pavlos would propose on a ski lift in Gstaad, Switzerland. A winter engagement led to a summer wedding on July 1, 1995, set at London’s Greek Orthodox church, St Sophia’s Cathedral. Although Greece hasn’t been a monarchy since 1974, theirs was very much a royal matrimony. The attendance of European and British nobility was considered a sign of support for the Prince’s father, King Constantine II, whose exile from Greece marked the end of his official kingship and later the monarchy. The bride wore a pearl-encrusted Valentino gown with a four-metre Chantilly lace train, for both the ceremony and the luncheon reception at Hampton Court Palace. The bride’s ivory silk Valentino gown took 25 seamstresses four months to make. Here, Greek dancers provide a guard of honour as the couple arrive at St Sophia’s Cathedral in Bayswater, London. Michiko met her future husband, then-Crown Prince Akihito, while playing tennis in 1957. Born 23 December 1933, he is the 125th emperor of a line which is traced back more than 2,600 years, according to official genealogies. That would make it the world’s oldest continuing hereditary monarchy. In keeping with ultra-formal royal tradition, he was raised apart from his parents in an imperial nursery from the age of two. 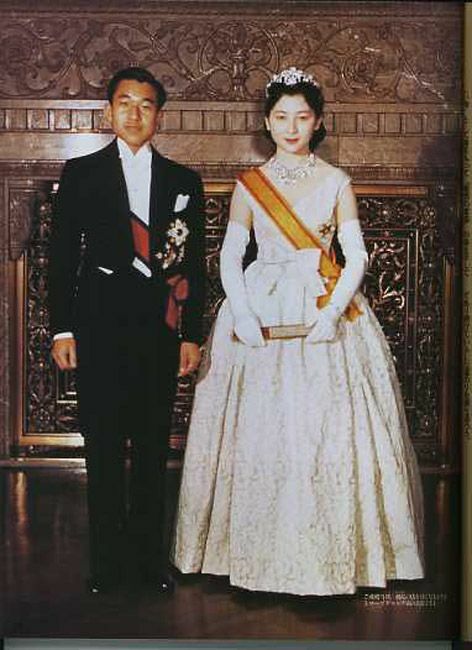 The then Crown Prince Akihito married a commoner in 1959, ending a 1,500-year-old tradition. Their love story was dubbed the “tennis court romance” as they met over the nets. Together he and Empress Michiko have three children and four grandchildren. A bit more of a fairy-tale story, Mary Donaldson from Tasmania first crossed paths with Prince Frederik at Sydney pub the Slip Inn during the 2000 Olympics. As with the best stories, she had no idea he was heir to the Danish throne. The couple conducted a long-distance relationship for the first year, with Mary then moving to Denmark in 2001. Two years later the pair were engaged. 12 years and four children later, they seem to be happier than ever. Mary has also mastered the Danish language, and was able to come up with a quick-witted retort two years ago when one man passed wind very loudly during a speech she was making. This is a royal romance which raised a few eyebrows at the time it was made public. Letizia is the first Spanish commoner to ever have become queen. Not only that, but she was also a divorced TV reporter and presenter who’d had a live-in boyfriend. This may not sound like a big deal, but it was pretty unprecedented at the time and, to some extent, still is. Princess Letizia is set to become the next Queen of Spain as King Juan Carlos, who has ruled the country for 39 years, announced his abdication yesterday. He will be succeeded by his son, Prince Felipe de Borbon, 46, whose wife Princess Letizia, 41, will serve alongside him. 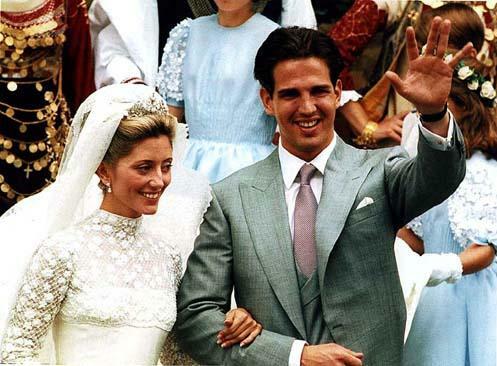 Letizia Ortiz, from Asturias in the north west of Spain, married Prince Felipe de Borbon 10 years ago at Cathedral Santa María la Real de la Almudena in Madrid. Most simply know her as the glamorous wife of the future King – but the stunning royal is driven, intelligent and from a “common” background. The two met at a dinner party thrown by a mutual friend but their romance got off to a shaky start after Letizia initially turned him down for date. It took Felipe four more attempts before she agreed. They went public with their relationship in 2003, n announcement which took the public by surprise, owing to the fact Letizia was divorced. But because her first marriage was only a civil ceremony, the Catholic Church didn’t demand an annulment for the couple to marry, which they did in 2004. Masako graduated from Harvard with a degree in economics, and returned to Japan to study law at the University of Tokyo in 1986. That same year, she met Crown Prince Naruhito (Michiko Shōda’s son) while attending a tea for the duchess of Lugo. Crown Prince Akihito and Michiko Shōda first met on a tennis court on August 19, 1956, at Karuizawa, a summer resort. Akihito and Michiko were in opposing mixed pairs in a tournament. Michiko and her partner won the match. Under the strict Imperial Household protocol, the couple could not meet alone during their courtship. They arranged their meetings at tennis courts among other acquaintances. As the relationship blossomed, Akihito called Michiko on the phone, sometimes as many as ten times a day. She accepted after two proposals, and the couple wed in 1993. The public announcement of the engagement was made on November 27, 1958. The Imperial Council, which consists of ten palace and civil official headed by Prime Minister Nobuskue Kishi, unanimously approved the marriage. Michiko was the first commoner to marry into the Imperial Family and that did cause some controversy. Charlene, who was born in Rhodesia, now Zimbabwe, grew up in South Africa where her father runs a computer business. She is a former South African Olympic swimmer. You wait decades for a fairy tale royal wedding … and then two come along at the same time. Just months after Britons turned out for the marriage of the Prince William and Catherine Middleton, the tiny principality of Monaco had its own happy ending when its ruler Prince Albert (Grace Kelly’s son) married former Olympic swimmer Charlene Wittstock. After days of would-she-wouldn’t-she, sparked by reports the bride had a severe case of cold feet, you could have cut the atmosphere in the palace throne room with a bone-handled silver knife. 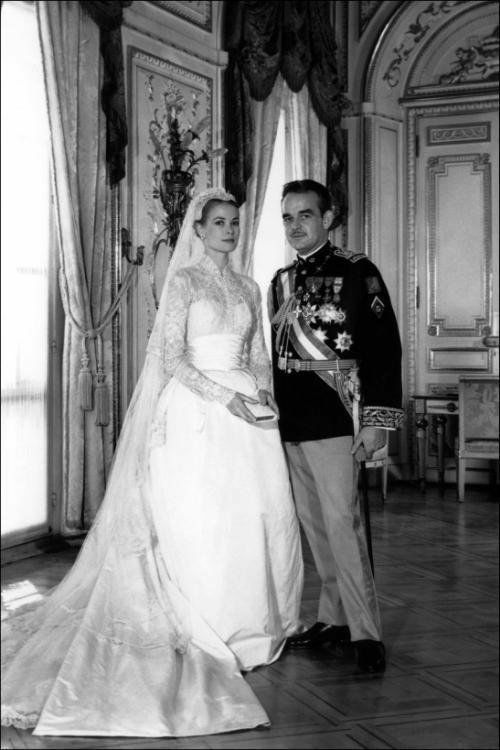 When the couple walked into the lavish room lined with scarlet silk and damask – where Albert’s parents Prince Rainier and Hollywood’s Grace Kelly married 55 years ago – Charlene, wearing a Chanel sky-blue jacket and long dress, gave a weak smile. It did little to ease the tension. The groom’s face looked as sombre as his black suit. Philippe Narmino, conducting the civil ceremony, spoke of the “joy” of celebrating the union, but some of those watching on big screens outside spoke of an atmosphere of sadness and an absence of signs of affection. As South African Charlene, 33, was asked, in French, if she would marry Albert Grimaldi, Princess Stephanie, the groom’s younger sister, raised her eyes to the elaborately panelled ceiling depicting the history of Alexander the Great, as if invoking his help. Everyone held their breath. Charlene said “oui”. Then Albert said “oui”. Outside, the crowds burst into applause. Inside, Stephanie breathed out, relaxed her shoulders and burst into tears. Pronounced man and wife, the prince, 55, who had looked painfully serious throughout the formalities, winked at the new princess of Monaco. It may have been unkindly labelled the “other wedding”, but the nuptials certainly lacked nothing in glitz, not to mention suspense and intrigue. The palace public relations machine was forced into overdrive earlier in the week to deny a report in the French magazine L’Express that Charlene had attempted to flee Monaco, the Mediterranean playground for the rich and famous. Officials described as “ugly rumours” and “unfounded lies” claims that Wittstock had fled to nearby Nice airport with a one-way ticket back to South Africa. L’Express claimed she had discovered her husband-to-be’s private life was “not as exemplary as she had thought”. The palace said the reports were based on jealousy and aimed at spoiling a “happy event”. The couple later appeared arm in arm in Monaco on the eve of the wedding. Later French press reports suggested she had wanted to call the wedding off amid claims that the prince, who has already admitted having two illegitimate children, had fathered a third child. The couple went public in 2006 at the opening ceremony of the Winter Olympics, and married in July 2011. Charlene, is said to have felt isolated and homesick in Monaco and confessed a few months ago that she had made “only two friends” in the principality. A former reality-TV star and glamour model has become a princess, marrying the man who is third in line to the Swedish throne. 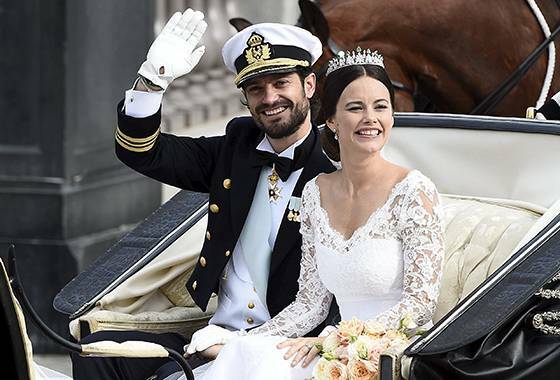 Sofia Hellqvist, 30, married 36-year-old Prince Carl Philip at a lavish ceremony in the chapel of Stockholm’s Royal Palace. The 36-year-old prince, third in line to the throne, was visibly nervous during the ceremony, which was attended by royals from around the world including Princess Takamado ofJapan, QueenMathilde of Belgium and the Earl and Countess of Wessex from Britain. 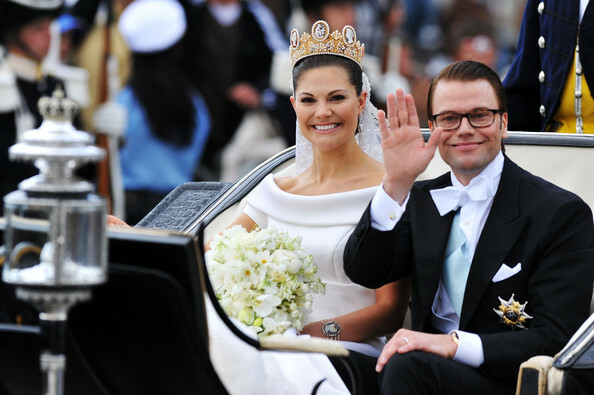 The marriage, a love match that has weathered the disapproval of the bride’s father, King Carl XVI Gustaf, who was initially horrified that his heir was marrying her former fitness trainer, and growing indifference from the Swedish public, who have increasingly questioned the monarchy’s modern relevance, took place in Stockholm’s Storkyrkan Cathedral late on Saturday afternoon. Determined to mark the day with a majestic ceremony the Swedish Royal Family had invited several crowned heads of Europe for their daughter’s marriage to Mr Westling, 36, who now becomes HRH Prince Daniel, Duke of Vastergotland. As the couple stood at the Cathedral altar at 3.30 yesterday – co incidently the same church in which the Crown Princess’s parents, King Carl XVI Gustaf and Queen Silvia, were married and on the date of their 34th wedding anniversary – Victoria looked regal and demure in an ivory silk, short-sleeved, off-the-shoulder gown, designed by Par Engsheden. As he uttered an enthusiastic ”ja” during his wedding vows, his eyes filled with tears as he turned to smile at his new wife. The 20 million kronor (£1.7m) spectacle at the newly renovated Cathedral was watched by almost five million viewers across Europe and on Stockholm’s streets crowds watched the ceremony on specially installed television screens. Victoria’s insistence that her father should give her away angered many. Even Archbishop Anders Wejryd, who conducted the service, had earlier rebuked the couple for adopting the British custom. For the more traditional royalists among the population, however, more than 200,000 had waited patiently on the city’s pavements to watch the Crown Princess and their new Prince. City stores had stocked up on celebratory mugs, plates and traditional Swedish knitted slippers, embroidered with the couples’ images. The city had hoped to counter the public’s apathy by splashing out eight million kronor on a two week long festival – ”Love Stockholm 2010” – to mark the marriage. Public transport was free for the days, stores boasted huge sales and Stockholm’s airport was renamed Official Love Airport 2010” for the occasion. But it wasn’t enough to dispel the city’s somewhat lacklustre response. The national railway company had planned three special ”wedding trains” to bring visitors to the capital but had to cancel two because of poor sales. The country’s indifference to their monarchy is believed to be partly driven by the Crown Princess’s choice of husband, and the 20 million kroner cost of the wedding, which has been born by taxpayers. When he first appeared on the pages of the Swedish news papers in 2002 many were horrified at his casual appearance. Even worse, apparently, was his thick, rural accent which was mocked among the Crown Princess’s circle. But their relationship, though stormy at times, survived – despite the King’s anger. He had hoped his daughter would marry a blue-blooded royal. Before long he became a polished public performer, learning several European languages and becoming well versed in his country’s history and politics. WAS PRINCESS DAINA A COMMONER BEFORE MARRYING PRINCE CAHRLES? Take a look at her not-so-humble beginnings before she was crowned the People’s Princess. As a British subject who was not a peer of the realm (meaning a duke, marquess, earl, viscount, or baron), Lady Diana Spencer was technically a commoner when she married Prince Charles on July 29, 1981. Yet this designation doesn’t change the fact that Diana was an aristocrat who’d been born into a noble family that had been a part of English history for centuries — so being a commoner didn’t make her common by any means. The Honourable Diana Frances Spencer was born on July 1, 1961, to parents Viscount and Viscountess Althorp. When Diana’s grandfather died in April 1975, her father became the eighth Earl Spencer. As Diana was now the daughter of an earl, she became Lady Diana (a title that was due to her father’s status, not a reflection of her own elevation to the peerage). Centuries earlier, the Spencers had grown wealthy thanks to their sheep farming and wool trading. One ancestor acquired a title from James I in 1603 and in 1765, a Spencer was granted an earldom. Among Diana’s ancestors were Knights of the Garter, Privy Councillors and a First Lord of the Admiralty. The family was also related to Charles II and James II (via illegitimate relationships). Diana’s aristocratic heritage was reflected in how she was raised. At her first childhood home, the family maintained a staff that included a governess, cook and butler, who all had their own private cottages to live in. In 1970, Diana was sent to a boarding school called Riddlesworth. After three years she went on to attend the West Heath Boarding School for Girls. Diana didn’t excel academically. She twice failed her O-levels (the rough equivalent of not completing high school in the United States) and left West Heath at 16. Attending the Institut Alpin Videmanette, a Swiss finishing school, also wasn’t a success, as Diana balked at speaking French as required and spent more time skiing than anything else. Yet these issues didn’t overly concern her family — women in Diana’s sphere were generally expected to marry well, not to have to support themselves. Diana relocated to London, staying first in her mother’s apartment and then in a flat purchased as a coming-of-age present. Thanks to her family’s support and an inheritance that had arrived when she was 18, Diana didn’t have financial worries. She worked as a nanny and kindergarten teacher, but otherwise didn’t pursue a career. Diana had been in contact with the royal family long before she got involved with Prince Charles. Her younger brother Charles — the current Earl Spencer — had Queen Elizabeth II as a godmother. Her maternal grandfather, Maurice Fermoy, was friends with King George VI. Maurice’s wife Ruth was a lady-in-waiting for George’s wife, Queen Elizabeth(mother of Queen Elizabeth II). When Diana’s mother wed her father in June 1954 at Westminster Abbey, Queen Elizabeth II and Prince Philip were among the royals who attended. The royal friendship with the Fermoys also made it possible for the family to acquire the lease to Park House in Norfolk, where Diana lived before moving to the Spencer home, Althorp, when her father became Earl Spencer. Park House was on the royal estate of Sandringham, putting Diana and her siblings in close royal proximity. And while the Spencers didn’t spend a great deal of time with their royal neighbors, there were visits for tea or to see a film in the private cinema. Later in life, her sisters helped bring Diana further into the royal orbit. After he became friendly with Diana’s older sister Sarah, Prince Charles spent time with Diana while attending a shooting weekend at Althorp in 1977. Romance didn’t ignite between Charles and Sarah, but she was seen as a potential match — meaning her younger sister, with the same family background, would’ve been judged equally suitable. And Jane, Diana’s other sister, wed one of the queen’s private secretaries in April 1978. Diana was waiting for a suitable husband, so marrying Prince Charles made perfect sense — even though there was an age difference and they’d only been involved for a six months before he proposed. 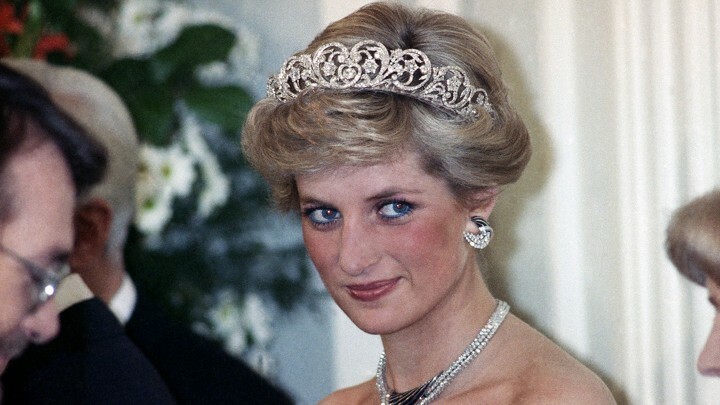 After the wedding, Diana became Her Royal Highness, the Princess of Wales — as she was not a royal in her own right, she couldn’t become Princess Diana without the queen’s intervention. 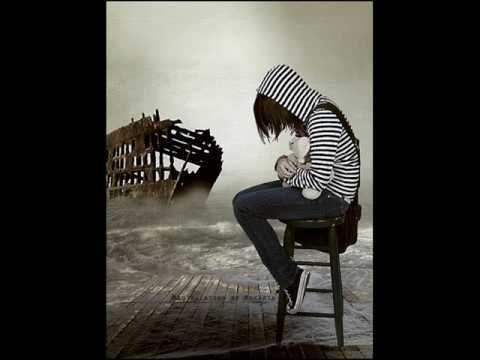 Treatment: Could depression be treated with aspirin or ibuprofen?